We understand choosing flooring can be exciting and also overwhelming. Our mission at Abbey Floor Fashion is to help you find exactly what you're looking for through the excellent and personalized service we provide. We invite you to stop by our showroom to see our impressive selections of carpet, hardwood, laminate, ceramic tile and LVT. In-home measures and estimates are always complimentary.. Abbey Floor Fashion has been locally owned and operated since 1986, specializing in customer satisfaction in sales and installation. As a franchised member of Abbey Carpet and Floor we offer a vast selection of named brand products at competitive prices. Serving Hilton Head since 1989 At Hilton Head Floor Covering we specialize in all types of flooring with a wide variety of carpet, tiles, and hardwood floors. From helping you choose the right flooring to providing a fair and accurate estimate, you can count on us every step of the way. 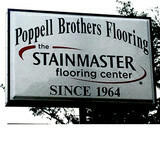 We are the most experienced floor covering team in Hilton Head, and an authorized seller for all of our product lines. Authorized sellers for all our product lines With over 23 year in business in the Hilton Head area, you know you can count on us for all your carpet and flooring needs. We're authorized sellers for all of our lines and have long-standing relationships in our community. We're reputable, dedicated and reliable. 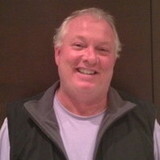 About Us Hilton Head Floor Covering’s founder and owner Todd Kinnaird has built his reputation on customer satisfaction and being an active member of the community. Carpet dealers in Oliver, GA help homeowners choose the correct carpet covering for their floors, and also assist with carpet maintenance. This includes determining factors like material, carpet pile, durability, color and size, as well as helping with any custom carpet design. After completing the initial installation (which includes removal of the old flooring, if applicable, and surface prep), they may also handle follow-up maintenance requests such as carpet cleaning, carpet repair and carpet stretching. Find a carpet dealer on Houzz. Narrow your search in the Professionals section of the website to carpet dealers in Oliver, GA, and read reviews and ratings for pros in your area.